The art and science of Sales are complex. Our science-based methodology allows you to understand what your sales team can or cannot do long before issues become serious problems. Drive your team's success, and achieve your sales numbers objectives faster and with more assurance ever before. See your team’s balanced Predictive Scorecard in real-time during the sales process. 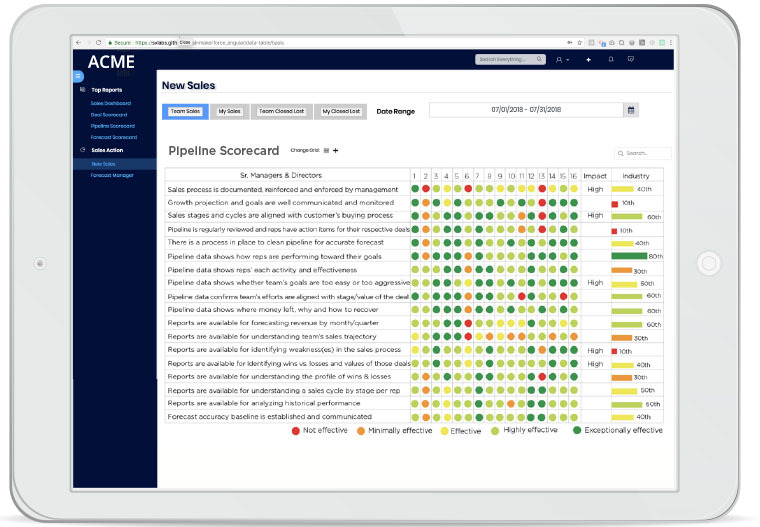 Get straight to pipelines issues and the deals that matter to your company by evaluating every rep’s pipeline in a structured and consistent manner. Stay confident during the quarter with deal pipelines checked for weaknesses & gaps well in advance, before they become serious forecast problems. Effortlessly get your entire sales team on the same standard of truth of consistent execution and revenue reliability. Turn pipeline data into actionable real-time coaching, better understand deal strengths/weaknesses and impacts to upcoming forecasts. 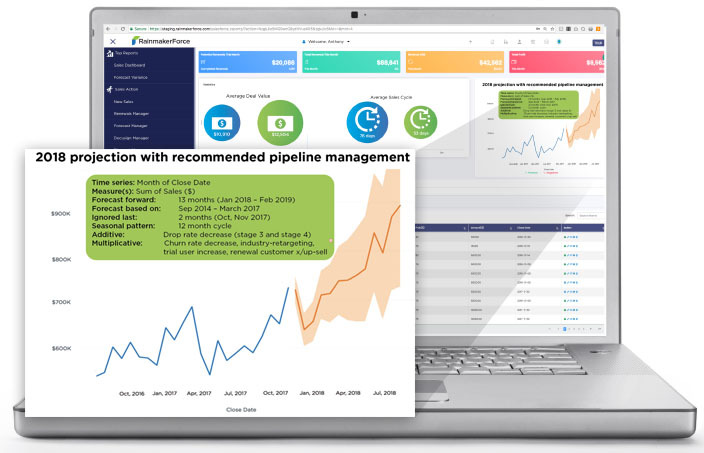 Measuring and managing consistent sales messaging and execution with sales teams has never been faster with the ability to visualize how pipelines measure up to your expectations, long before the close. Getting your account execs or reps to evaluate their own pipelines is subjective and contradictory. RainmakerForce Predictive Scorecard solves that problem. It gives you a powerful application that measures how “good” your pipeline is in real-time and saves you time and effort that is better spent on strategic and tactical customer issues. 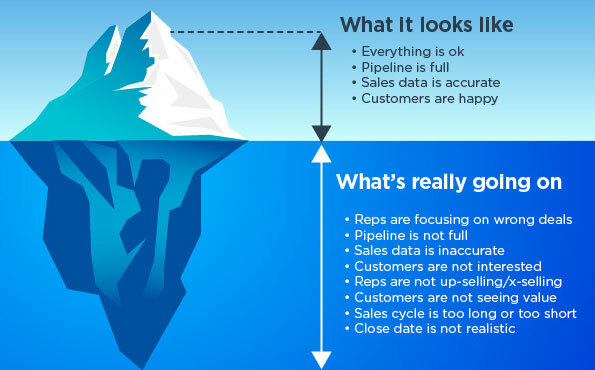 More than 50.7% of selling time is spent on manually checking & validating your sales pipeline for reliability, strength and forecast assurance. See how a real-time Predictable Scorecard saves valuable time and returns correct insights into wins without guessing or sandbagging. RainmakerForce gives you 100% control over your pipeline checkpoints, including product-level, team, territory or channel. Knowing the strength & capability of your sales pipeline well-in-advance is key to success in sales. The best way to ensure revenue assurance is to know how good your pipeline is, and how much it can deliver before the forecast. 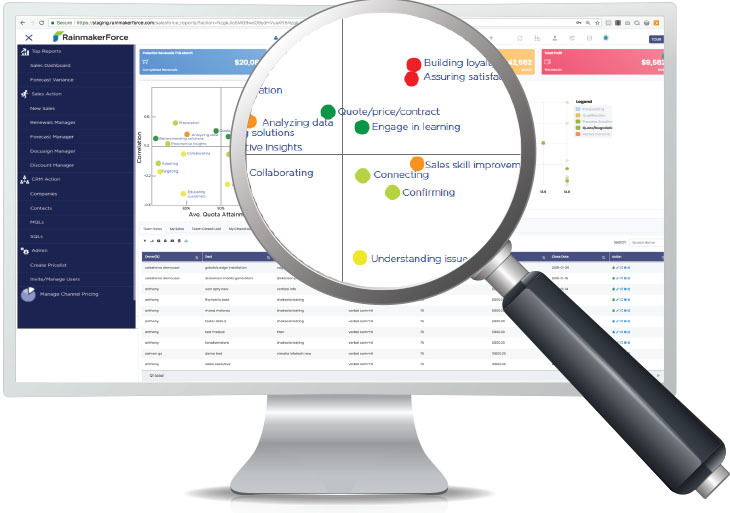 Use RainmakerForce Predictive Scorecard to understand how you'll win, see the gaps in revenue attainment, and what your team is doing well (or isn’t). Ready to see high assurance and predictable sales?